Offensive Substitution: Pinch-hitter Alberto Callaspo replaces Pedro Baez. 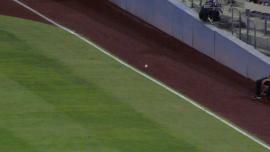 With Alberto Callaspo batting, Carl Crawford steals (2) 2nd base. June 4, 2018 Algodoneros Union Laguna released 2B Alberto Callaspo. May 2, 2018 Leones de Yucatan traded 2B Alberto Callaspo to Algodoneros Union Laguna. March 1, 2018 Algodoneros Union Laguna traded 2B Alberto Callaspo to Leones de Yucatan for 3B Yuniesky Betancourt. October 9, 2017 3B Alberto Callaspo assigned to Tigres de Aragua. May 30, 2017 Vaqueros Union Laguna signed free agent 2B Alberto Callaspo. November 24, 2015 3B Alberto Callaspo assigned to Tigres de Aragua. September 18, 2015 3B Alberto Callaspo assigned to Navegantes del Magallanes. 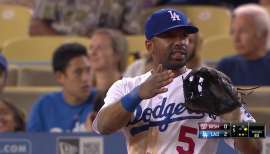 August 27, 2015 Los Angeles Dodgers released 3B Alberto Callaspo. 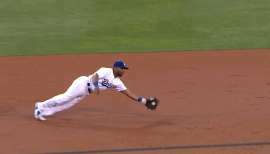 August 19, 2015 Los Angeles Dodgers designated 3B Alberto Callaspo for assignment. December 15, 2014 Atlanta Braves signed free agent 3B Alberto Callaspo. October 30, 2014 1B Alberto Callaspo elected free agency. July 27, 2014 Oakland Athletics activated 1B Alberto Callaspo from the 15-day disabled list. July 26, 2014 Oakland Athletics sent 1B Alberto Callaspo on a rehab assignment to Stockton Ports. July 12, 2014 Oakland Athletics placed 1B Alberto Callaspo on the 15-day disabled list. Right hamstring strain. June 16, 2014 Oakland Athletics activated 1B Alberto Callaspo from the paternity list. June 13, 2014 Oakland Athletics placed 1B Alberto Callaspo on the paternity list. 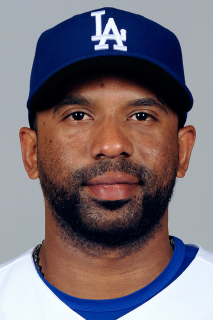 January 31, 2014 2B Alberto Callaspo assigned to Venezuela. December 18, 2013 2B Alberto Callaspo assigned to Navegantes del Magallanes. July 31, 2013 Los Angeles Angels traded 1B Alberto Callaspo to Oakland Athletics for 2B Grant Green. May 3, 2013 Alberto Callaspo roster status changed by Los Angeles Angels. April 30, 2013 Los Angeles Angels sent 3B Alberto Callaspo on a rehab assignment to Inland Empire 66ers. 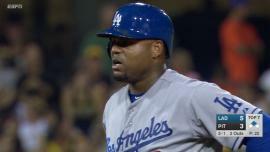 April 19, 2013 Los Angeles Angels placed 3B Alberto Callaspo on the 15-day disabled list retroactive to April 12, 2013. Right calf tightness. October 8, 2010 3B Alberto Callaspo assigned to Navegantes del Magallanes. July 24, 2010 Alberto Callaspo roster status changed by Los Angeles Angels. July 24, 2010 Los Angeles Angels activated 3B Alberto Callaspo. July 22, 2010 Kansas City Royals traded 3B Alberto Callaspo to Los Angeles Angels for RHP Sean O'Sullivan and LHP Will Smith. January 21, 2010 2B Alberto Callaspo transferred to Leones del Escogido from Aguilas del Zulia. October 8, 2009 Alberto Callaspo assigned to Aguilas del Zulia.